When you wear glasses, your frames make a statement. They are a fun way of expressing your personality and style. Part of choosing your frames is considering what best fits your lifestyle. This will be an important factor in determining the style of eyewear that you choose. Appropriate professional eyewear depends on your job. In the business world, conservative frames and shapes make you appear capable and knowledgeable. Traditional shapes and classic, muted colors are best, as they look professional and match with almost all business attire. Avoid distractingly chunky or bold pieces. If your profession has a more laid-back and creative atmosphere, you have a wider range of options. In settings like these, thicker frames, larger lenses, and brighter colors and patterns are acceptable. Fun detailing is fashionable, and vintage styles are making a comeback. It is important to still maintain a relatively conservative look, though. As a student, you have even more options! As mentioned before, geek-chic is big right now, and students can pull the look off better than anyone. Students also have a great deal of freedom to express themselves through fashion. Bold and eye-catching eyewear in bright colors and odd shapes is completely acceptable and a fun way of expressing your personality and style. Go for a vintage look with a bright cat-eye style, be scholarly with thick black frames, or capture the urban student style with slightly rounded tortoise or chunky clear frames. Believe it or not, you can be both functional and fashionable with athletic eyewear. It’s important to get glasses that are comfortable and shatter-resistant (polycarbonate lenses are perfect for this) and sometimes a slight tint is helpful in outdoor activities. You don’t have to sacrifice style on the altar of function, though. Many designers offer colorful and sporty designs made out of durable materials so you can look great while living your active lifestyle. If you are retired but looking for a fun statement, bright colors and upswept frames are an excellent choice for women. Bright colors and shine add life and brightness to the face, so avoid dull colors. 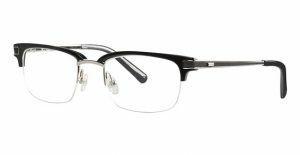 Men look good in some darker colors and uplifting rectangle frames are a great option. Glasses don’t have to dominate your face. Come by Good Looks Eyewear’s stores in Cranberry or Pittsburgh to browse our collection of trendy eyewear and consider these tips to find the perfect frames to express your personality and fit your lifestyle!